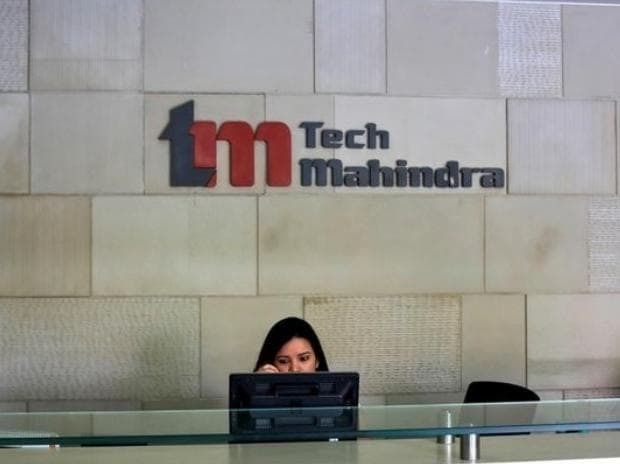 IT services company Tech Mahindra has received an approval from its board to conduct its first ever buyback of shares worth up to Rs 1,956 crore at Rs 950 apiece. The buyback price being offered by the company is at 15.8 per cent premium to Thursday’s closing price on the BSE. In an exchange filing, the IT major said it would buy back 20 million shares under this plan, which is 2.10 per cent of its total paid-up capital base. “The board met this morning and announced the buyback. Rewarding investors is always a key goal,” Anand Mahindra, chairman, Tech Mahindra, tweeted this announcement. CP Gurnani, chief executive officer (CEO) and managing director (MD) of the Pune-headquartered firm, also thanked the investors for their continued support. “Time to reward stakeholders who have placed trust in us. Thank you investors. This one is for you,” he tweeted. At the end of December quarter, the company had a cash reserve of $1,251.8 million (around Rs 8,700 crore) in its balance sheet. According to analysts, the share repurchase programme, though was part of its capital allocation policy, also reflects the growing confidence of promoters in the growth prospects of the firm. “If you compare the price to earnings ratio (PE) of many of Tech Mahindra's peers, the company seems to be undervalued. So, buyback is a way to increase the value of the firm," said Pareekh Jain, founder of Pareekh Consulting. “It also shows the growing confidence of promoters in the future growth potential of the company." Currently, while Tech Mahindra is trading at a PE multiple of 18.33, market leader TCS has a PE multiple of close to 25. Similarly, Infosys trades at close to 23 PE multiple, while for Wipro it stands at around 22. “Now the company has joined the league of the large peers that have opted for the share buyback route to boost the shareholders’ returns. We believe that buyback would be largely neutral to EPS and view this step as positive towards capital allocation policy and shareholders return,” Sanjeev Hota, AVP Research at Sharekhan said. Tech Mahi­ndra is the fifth IT services company among large and mid-tier IT firms in India to opt for returning surplus cash to the shareholders. Last mon­th, Infosys had announced to buy back shares worth up to Rs 8,260 crore at Rs 800 apiece, making it the second consecutive repurchase for the firm in two years. Other IT majors, which had done such share repurchase in the current financial year are TCS and HCL Technologies. TCS had bought back shares worth Rs 16,000 crore at Rs 2,100 a share from shareholders last year. Similarly, HCL Technologies also repurchased Rs 4,000 crore worth of shares as part its capital allocation policy. Among mid-tier firms, Persistent Systems's board had also approved a buyback offer of up to Rs 225 crore in January. According to experts, Indian IT services players are increasingly emulating the capital allocation models of global technology majors such as Accenture and IBM by conducting regular share repurchase programme to give back their free cash to the shareholders.